Len Grant visits Wigs Up North, the Ancoats-based winners of New East Manchester’s All Stars EnterPrize award. I’ve been looking forward to doing this story, not just because the company I am visiting sounds wonderfully bizarre, but also because they are based in one of my favourite Ancoats buildings, Royal Mills. Jackie Sweeney: "It's not all glitz and glamour." For three years between 2003 and 2006, I would impersonate a construction worker with yellow vest, hard hat and ‘rigger’ boots and photograph the renovation of this magnificent mill. 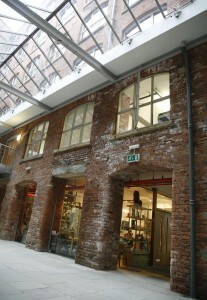 Its central atrium, now glazed, is the focal point of the apartment block and is slowly becoming home to an eclectic bunch of independent traders. There’s a fashion wholesaler, an outdoor and snow sports retailer and soon a café. 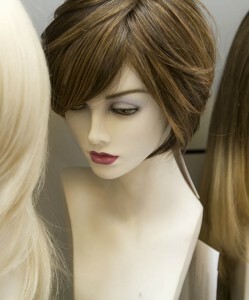 But it’s Wigs Up North I’ve come to see and Jackie Sweeney, one of the three partners, is happy to tell me about the rise and rise of their specialist business. When the Phantom production team needed a replacement make-up artist Jackie was able to suggest Liz. “Her first love has always been theatre,” she says. 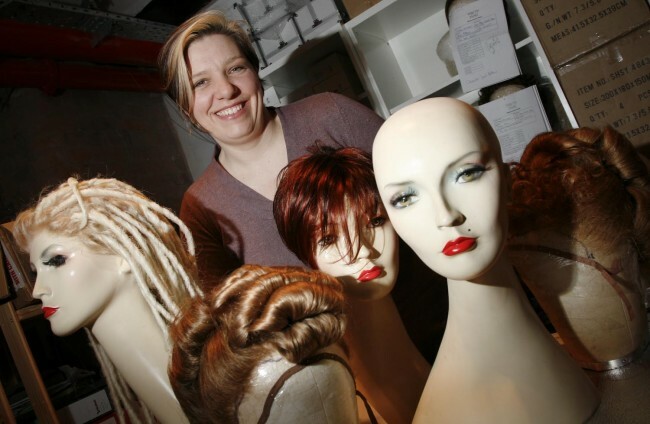 Liz and Jackie were joined in 2005 by Vicky Holmes, another wig and make-up expert who’s fitted wigs to hundreds of heads on numerous West End productions. Jackie: "We're happy to provide training for those on their way up." 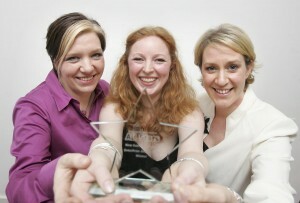 Jackie, Vicky and Liz with the EnterPrize trophy. Photograph: Karen Wright Photography. Having moved to Ancoats, ‘Wigs’ were in New East Manchester’s patch and eligible, then, to have a stab at the EnterPrize award. Jackie says they didn’t think they stood much of a chance – the competition was so tough – and went to the awards ceremony in December content to have a good night out at the fabulous Gorton Monastery. But they’d clearly impressed the judges with their business plans and came away with the £10,000 top prize. “We were astounded,” recalls Jackie, “it was such a great night and then to come out on top…”. Jackie tells me they are using their winnings to beef up their e-commerce operation using something called the EPOS system. I just nod. Since my visit to Royal Mills, ‘Wigs’ have been to yet another ceremony and can now add runners-up in the North West Women in Business Awards to their trophy cabinet. Congratulations!